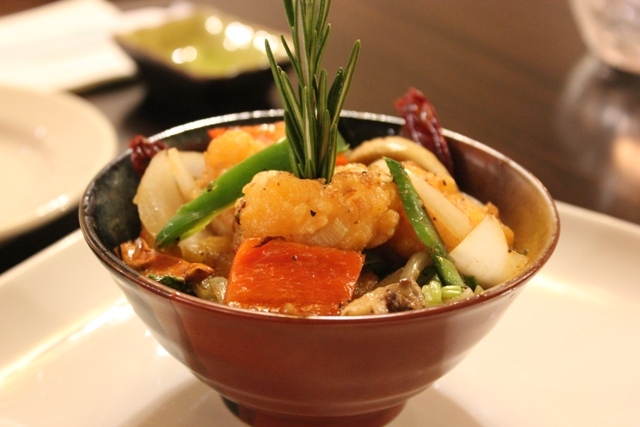 Hana Bistro serves delicious Chinese, Japanese, and other Asian dishes made with the freshest ingredients. Savor our sushi, sashimi, and maki handrolls or delight your senses in our Pad Thai or noodle soup - just to name a few menu items. Our Chinese dishes are crafted with combinations that will keep you coming back for more. The next time you’re in the mood for Asian food, head to the 50th and France District of Edina. There you’ll find Hana Bistro, which offers something for everyone! The extensive menu features Chinese, Japanese and other Asian dishes all made with high quality fresh ingredients, such as wild-caught scallops, tender jumbo shrimp, flank steak beef, all white meat chicken and fresh vegetables. Generous portion are offered, everything is made fresh to order, and there is high importance placed on presentation. Every dish is a work of art. Among the categories on the menu: soup, appetizers and salads, noodles and fried rice, Chinese entrees, Hibachi, Sushi and Sushi Rolls and Sashimi. These are also several combination platters, drinks and deserts available. The majority of the food is prepared by China-trained chef Ben Lan and his nephew, Andy Lan, who is also a China-trained chef. Ben’s wife, Stephanie, is also involved in the business. 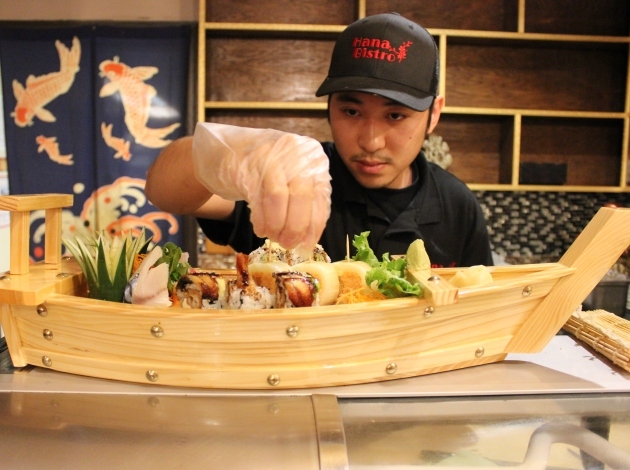 Sushi chef, Andy Lan, is excellent at what he does! There are 30 different specialty rolls to choose from (cooked, smoked and raw are just a few). It’s amazing how much variety there is amongst the rolls. The most popular and fun named rolls are; the Edina Roll, Vernon Ave Roll, Lakes Roll, Crazy Crunch Roll, and the Prince Roll. Since opening for business in Oct.2017, the owners have made a commitment to giving back to the community. For every glass of wine ordered from a select wine list, a meal is donated to Second Harvest Heartland, one of the nation’s largest hunger relief organizations. Hana Bistro is open seven days a week, from 11 a.m. – 10 p.m. Mon. through Thurs., from 11 a.m.to 11 p.m. on Fri. and Sat., and from Noon to 10 p.m. on Sun. The restaurant offers dine-in, take-out and delivery options. To check out the menu, go to www.hanabistroedina.com.